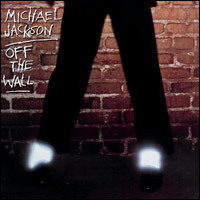 I was listening to Off the Wall the other day, and especially digging this song. The album isn’t quite the equal of Thriller but it’s a terrific funk/pop record. Started wondering what ever happened to Michael Jackson. He just sort of disappeared after Dangerous. Turns out he died last year. How did I miss that? Must have been drowned out by all the coverage of Farrah Fawcett’s passing. I salute you, Jacko! You will be missed.